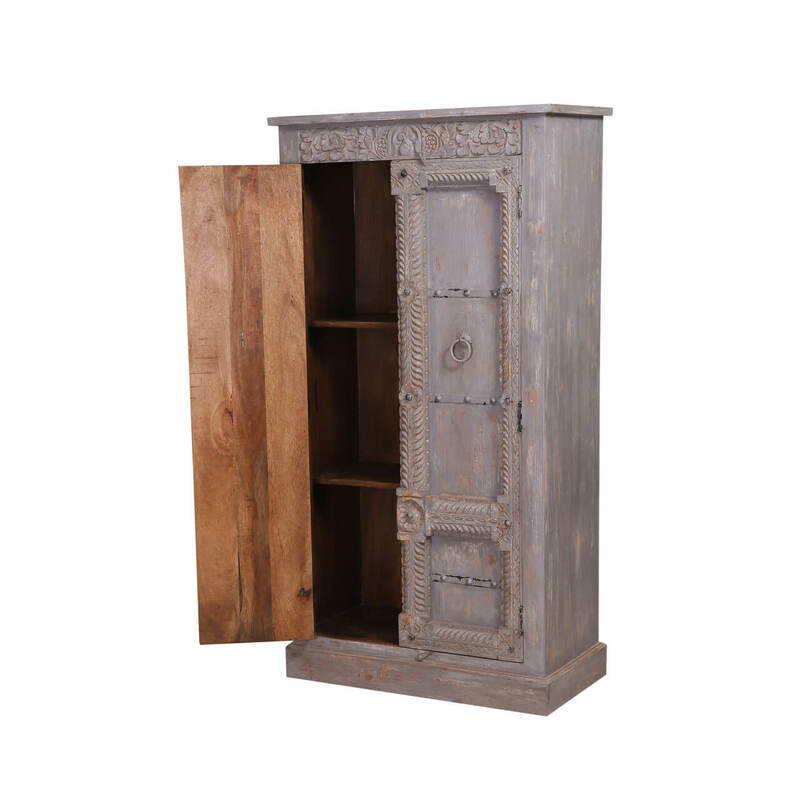 Now you can add a decorative flair to your storage by picking our gorgeous Zearing Handcrafted Traditional Reclaimed Wood Tall Gray Cabinet Armoire! 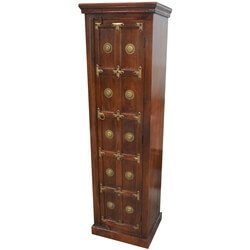 It features a traditional-accented design dressed in the most understated of hues and comes across as stylish, elegant, and sophisticated. 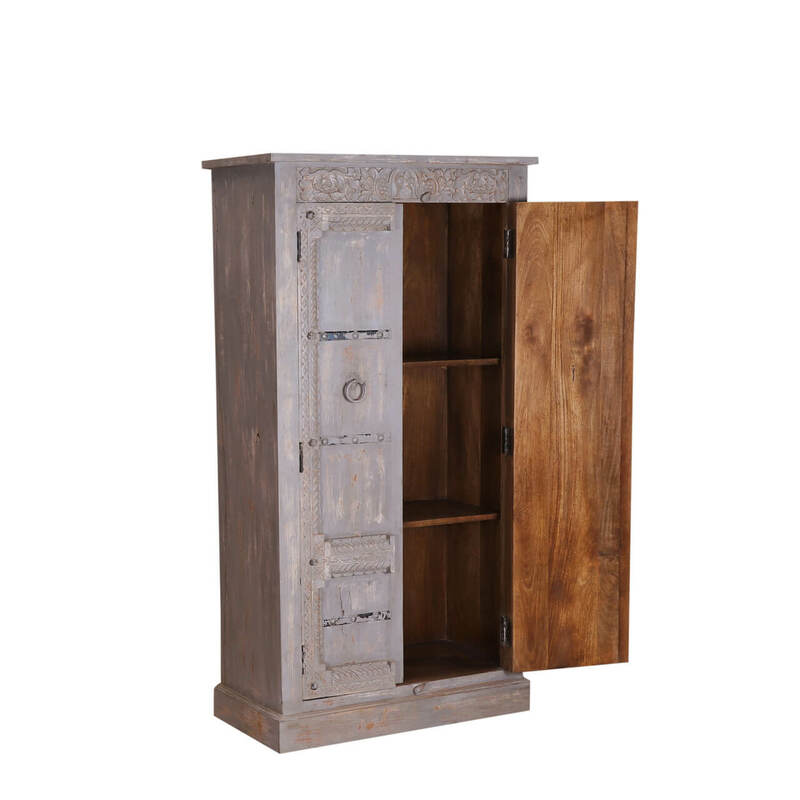 It has been handcrafted and assembled from the sturdiest solid reclaimed wood pieces and warrants a great heirloom quality. 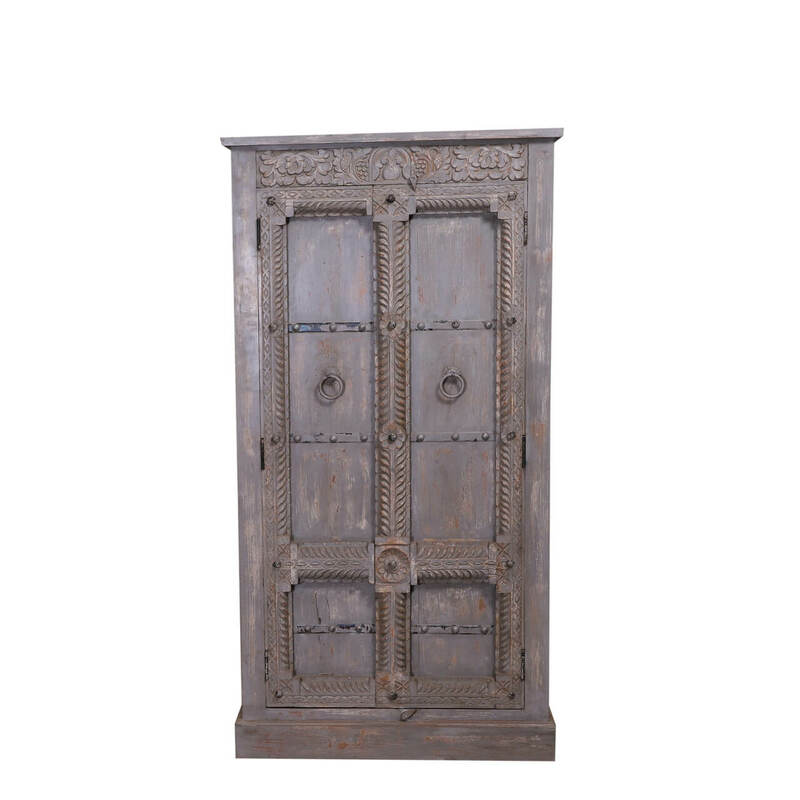 The design of this traditional gray armoire is rather simple in the overall sense, but it’s all the attention to the small details that make it so unconventional. 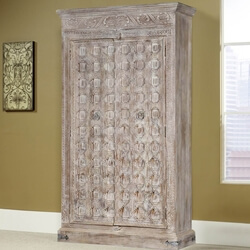 The extended top frame leads to a decorative and intricately hand-carved frieze, which segues into a tall double-door façade. 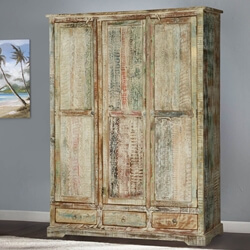 Each leaf is embellished with rococo-inspired detailing – light handed on the ornamentation and adorned with a light hue. 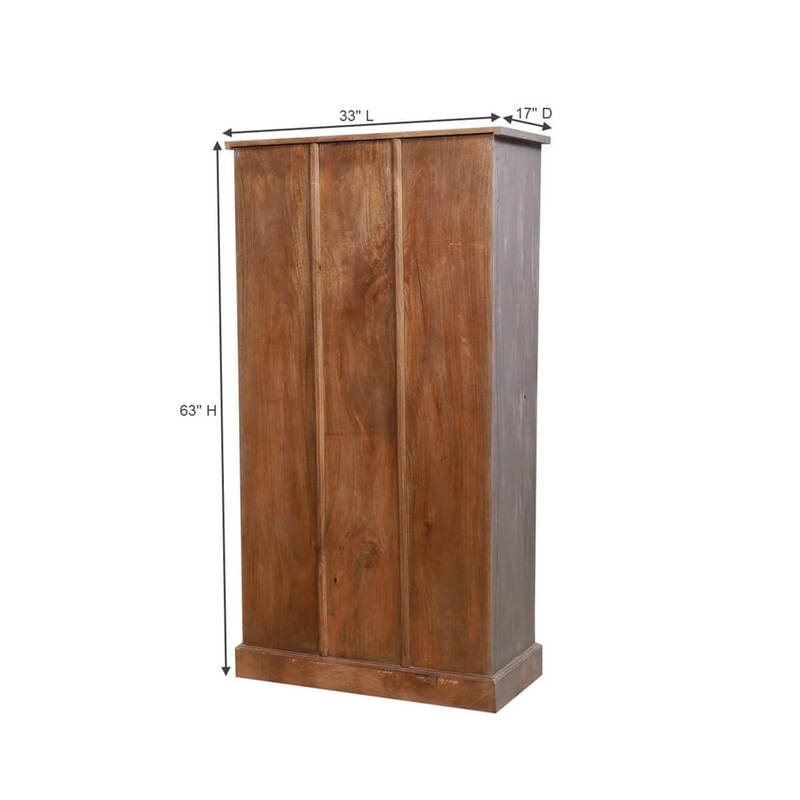 The inside is comprised of 3 large shelf compartments for an ideal organization, while the bottom ends with a platform base. 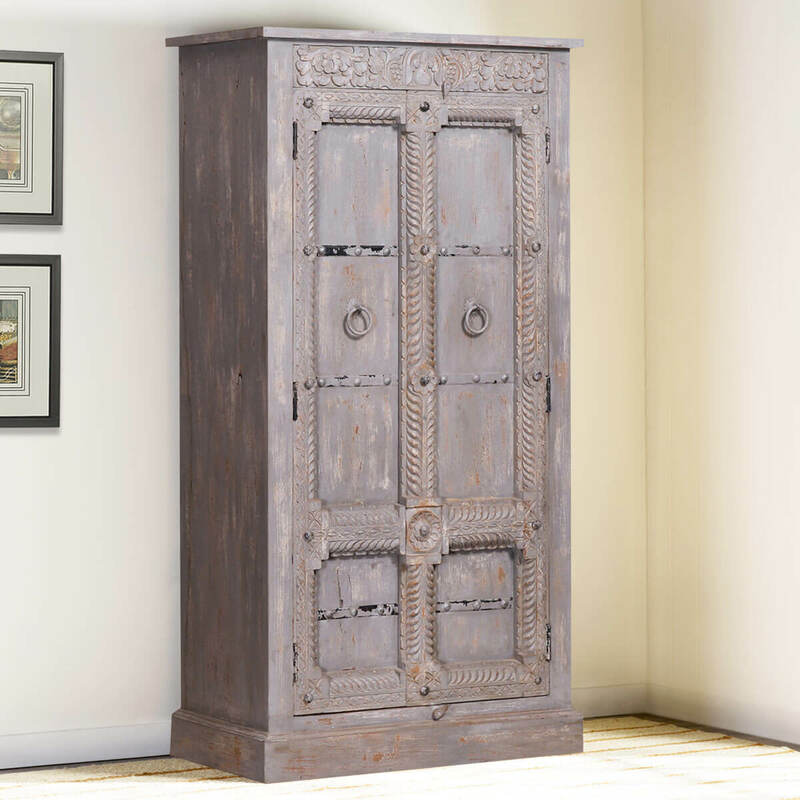 The distinct looks of this solid wood armoire may be one-of-a-kind, but they are also complemented by a flexibility that allows it to be featured in a number of interior design styles. 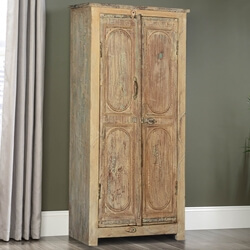 You can pair it with a shabby chic, industrial or eclectic ambiance, but it would look just as well in a contemporary, retro, or traditional setting.